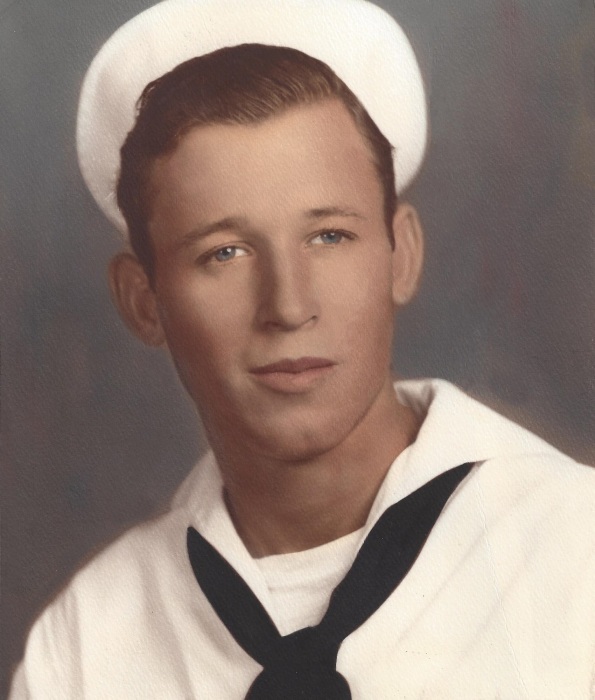 Coy Wayne Swinney, 80, of Bismarck, Arkansas passed away February 5, 2019. Coy was born July 31, 1938, in Cleveland, Texas, to John H. and Laverne Swinney. Baptized at the age of 13, Coy was an active member at the Bismarck United Methodist Church. After graduation from Cleveland High, Coy married his high school sweetheart Shirley Fay Grayson on July 13, 1956. To this union they were blessed with 3 beautiful and healthy children. Coy would go on to serve an honorable 22-year career with the United States Navy, including a tour in Vietnam. All three children would follow in their father’s footsteps serving in the United States Navy. After serving our great country, Coy would work for the United States Post Office for another 20 years. He was a member of the VFW, American (Texas) Legion, and Fleet Reserve Association. Coy loved the outdoors, working, hunting and fishing. Later in life he would find he not only loved but was very good at dancing. In 2013, Coy was awarded a Life Saving Medal and Plaque for saving the life of a young man, 19 years of age, from a near drowning while on a fishing trip with son- in- law John. John saw the young man in trouble but could not reach him. He alerted Coy and although the young man had gone under, Coy was able to hook him and pull him to the surface. Coy is preceded in death by his son, David DeWayne Swinney; father, John H Swinney; mother and stepfather, Laverne and Edward Henry; brothers, Charles Henry and Phillip Swinney; and sister, Hulene Henry. He is survived by his beautiful wife of 62 years Shirley; daughter and son- in- law, Lori and John Aten; son and daughter-in-law, Darin and Carole Swinney; granddaughters, Leslie, Katelyn and Courtney; grandson, Brandon; great-granddaughter, Madylyn; sisters, Doris Caughman and Debra DuBose; and brother, Frank Swinney. Visitation will be Thursday, February 7, 2019, from 6:00- 8:00 p.m. at Ruggles Wilcox Funeral Home. Service will be 10:00 a.m. Friday, February 8, 2019, at the funeral home, with full military honors, Debbie Perry Officiating. Senior Chief Petty Officer, Retired, Cory Swinney, will be buried in Houston Texas National Cemetery where son David is buried. Memorials can be made in his name to the Alzheimer’s Association, 10201 West Markham Street, Suite 100, Little Rock, Arkansas, 72205 or the charity of choice.